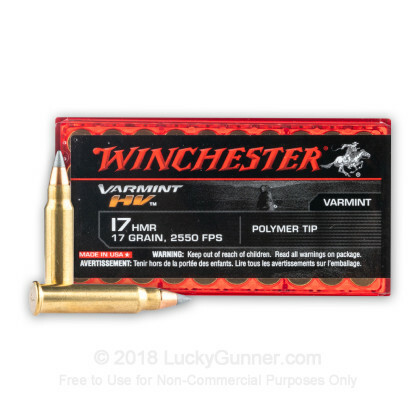 Winchester's High Velocity Varmint 17 HMR ammo uses top of the line Hornady V-MAX bullets. 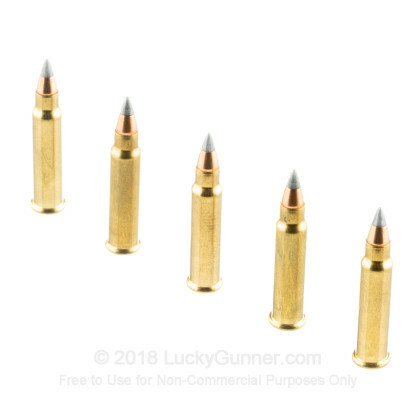 These bullets are manufactured by Hornady which is renowned for a philosophy of "Ten bullets through one hole". 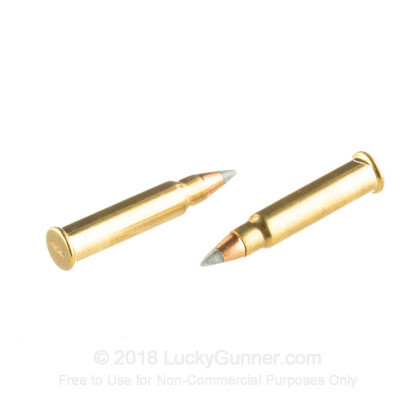 V-MAX bullets feature a premium polymer tip and streamlined design that yields ultra flat trajectories and tack-driving accuracy at long-range. 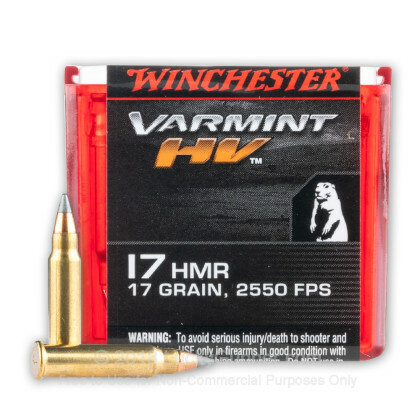 actions and deadly on varmints like fox and groundhogs. Never had an exit hole. A bit too much for edible small game unless one takes head shots. 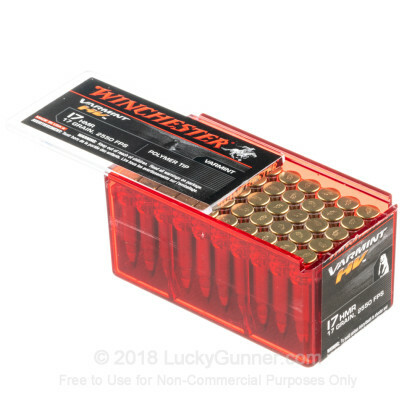 As always Winchester performs and so does Lucky Gunner! I have outright killed several foxes that wanted a free chicken dinner at distances up to 94 yards....with only one shot......no flopping around.... DEAD! As for Lucky Gunner, you are in good hands! 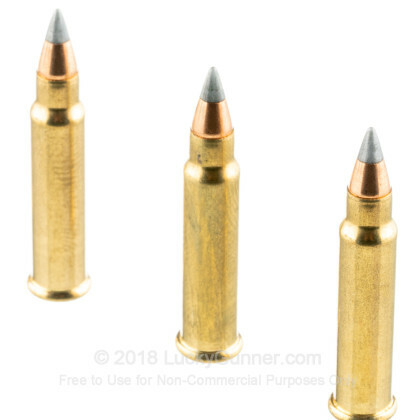 They almost always have the ammo I need, when I need it! Lightning fast delivery and great folks to do business with! Nice round will put anything down with 1 shot if you place it right. No complaints from me.